MINI can't be accused of not knowing what it's doing. 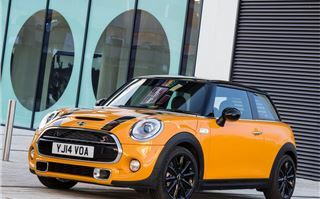 Nor can you say that the company doesn't know its customer base - so when you see that the latest incarnation of the Cooper S has a rather evolutionary look, you can be sure it's for a very good reason. 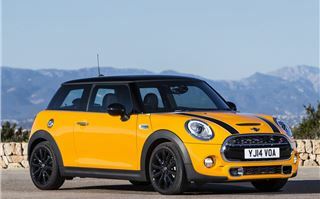 But for 2014, the Cooper S is all-new, even if it doesn't look that way. Why change a winning formula? 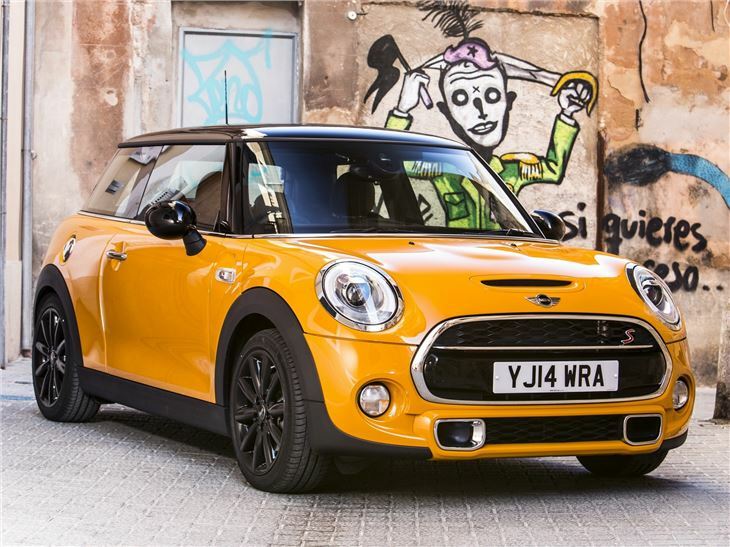 We've already detailed the technical changes in the third-generation BMW-era MINI in some detail in our Cooper D road test, but concluded that it's probably easier to discuss what hasn't been replaced in the new car. In a nutshell, it's 15cm longer, wider, lower, and more sportily proportioned than the last one. The main difference for first time viewers will be the longer nose, and striking new headlights, which take some getting used to. 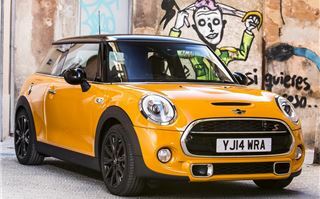 Underneath the all-new, but familiar looking skin, are the underpinnings that will be used on all future MINIs as well as upcoming front-wheel drive BMWs, such as the 2 Series Active Tourer. 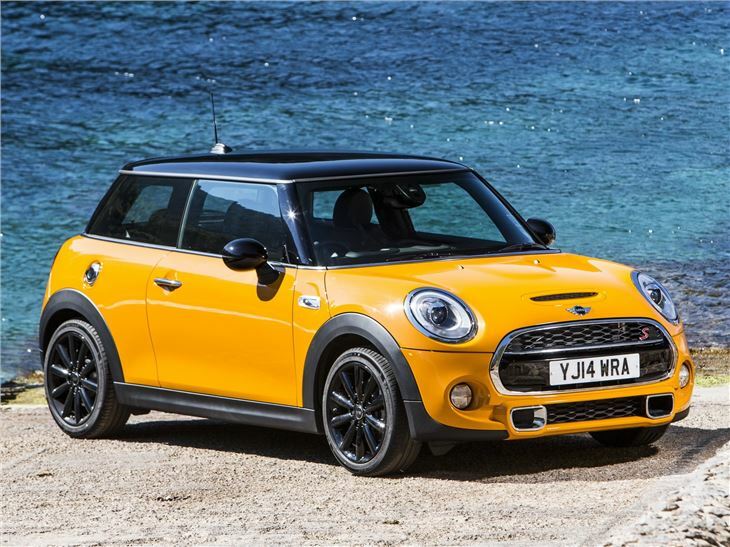 So, it's important for MINI, and parent company BMW, to get this right first time. 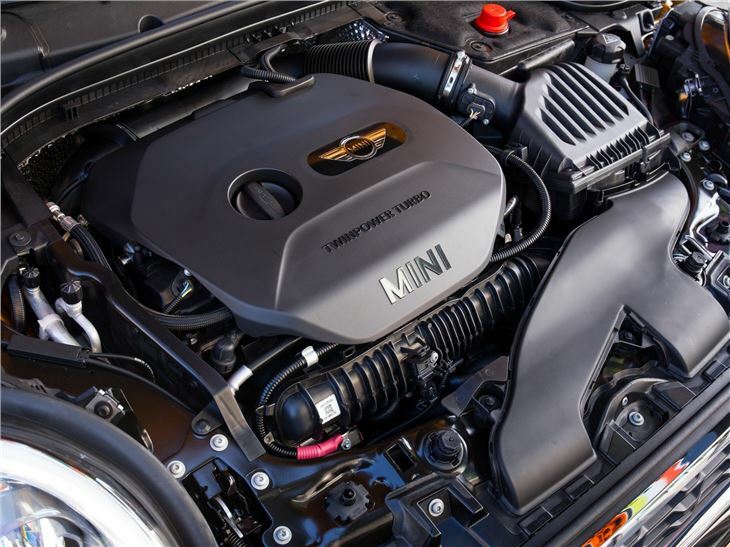 For the Cooper S, MINI has eschewed the current fashion for downsizing engines. 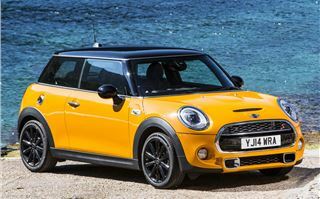 The new Cooper S develops 192PS (up 20PS from the last one) from a 2.0-litre four-cylinder version of the new TwinPower family of engines - and that's up from the old car, which managed with 1.6-litres and a twin-scroll turbo. 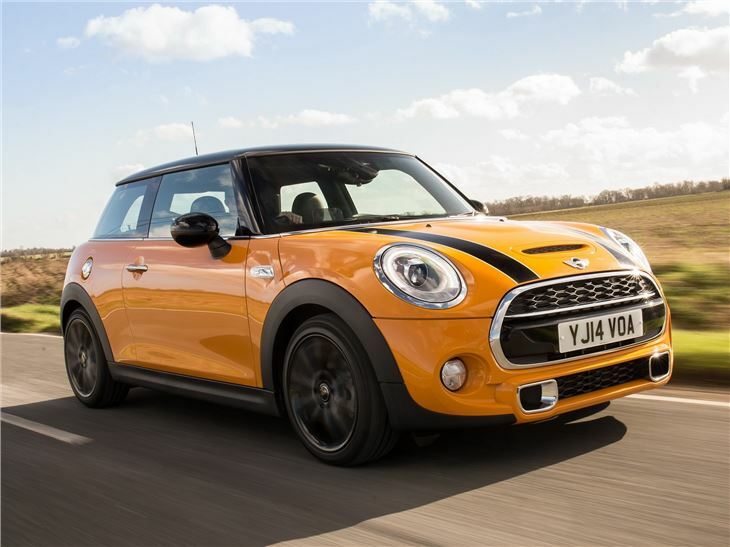 Despite more power and torque, the new Cooper S is more efficient than before, with an official fuel consumption figure of 49.6mpg, and a CO2 output of 133g/km. Pretty impressive figures for a car with a claimed maximum speed of 146mph, and a 0-62mph time of 6.8 seconds. 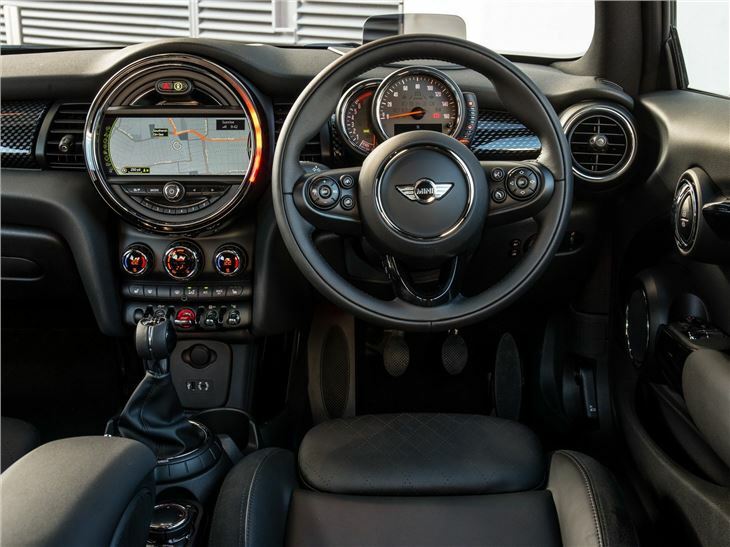 Existing MINI owners will initially find the new interior pretty familiar. But it's been completely revised, with a more 'premium' feel and higher quality componentry all round. 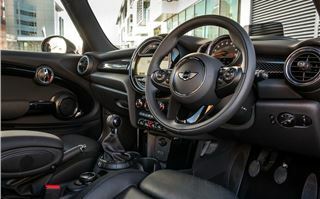 The biggest change is the loss of the centre-speedometer, which in the Cooper S houses the screen for the infotainment system - which is driven by a set of an improved BMW iDrive style controls in the centre armrest. It also gains new climate control switchgear, which are a huge improvement over the outgoing ones. Finally, the rest of the control set remains pretty much as before, although the electric window switches have moved from the base of the centre console to the driver's door. Finally, there's more room all round, with a 30 per cent larger boot, that holds 211 litres. 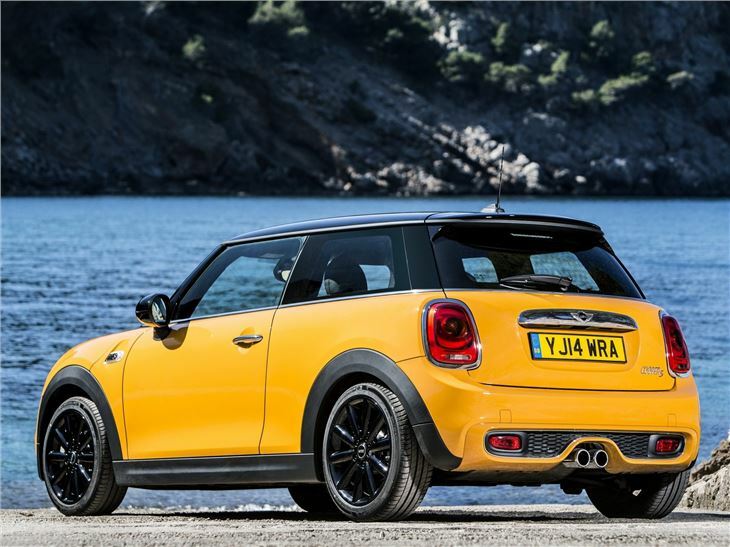 The new MINI Cooper S feels very different to the old one from the moment you jump in. 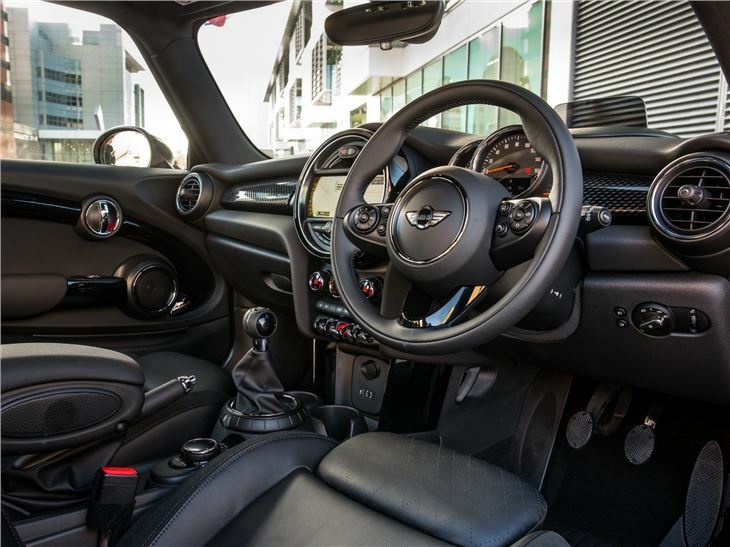 The lower, more enveloping driving position is more BMW than MINI, while the less impressive all-round visibility will potentially put off existing owners - but it's a more driver focused set-up that actually suits the character of the Cooper S perfectly. Once underway, the improved refinement of the four-cylinder engine makes its presence felt, but don't think that all of this additional refinement and BMW-ness, it has lost some of the old car's fun element. That's absolutely not the case. The first impressions are that the suspension set-up has been very carefully developed. Despite a short wheelbase, stiff damping, and 18-inch wheels, the ride is rarely crashy, even if on a typically lumpy back road, you'll still be joggled, although not objectionably so. And at higher speed, such as on motorways, it smooths out nicely, leaving the impression you're driving a larger, and more mature car. 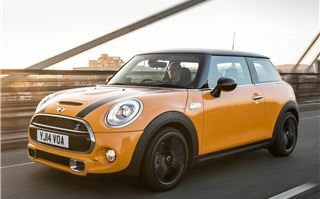 Clearly, MINI is intent to chase company car drivers as well as those who want a fun second car. With this one, they may have struck the right balance. Out of the three dynamic settings, for day-to-day use, Comfort is more than adequate. 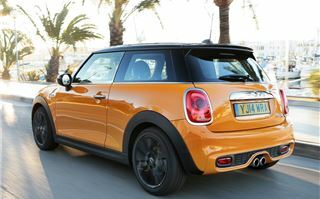 The ride is at its best in this setting, but handling remains sharp and for most corners, it has a lovely go-where-you-point-it feel that marks out a MINI Cooper S for what it is. There's oodles of grip to play with, and the brakes are strong, and right at the limit of adhesion, it's the front that begins to slide, not the rear. It's only when hauling your speed down for the most challenging corners that you'll find the brakes start to fade, and the handling get at all scruffy. Which for most people, they'll not come close to at vaguely sensible speeds on the road. There are a number of driver aids and programmes to keep it all in check, most notably, BMW’s DTC system, which really does minimise wheelspin exiting slow bends. 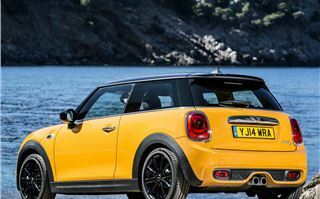 Again, given the MINI's sheer amount of grip in most circumstances, chances are you'll only really encounter it when really pushing on, or in particularly bad weather. 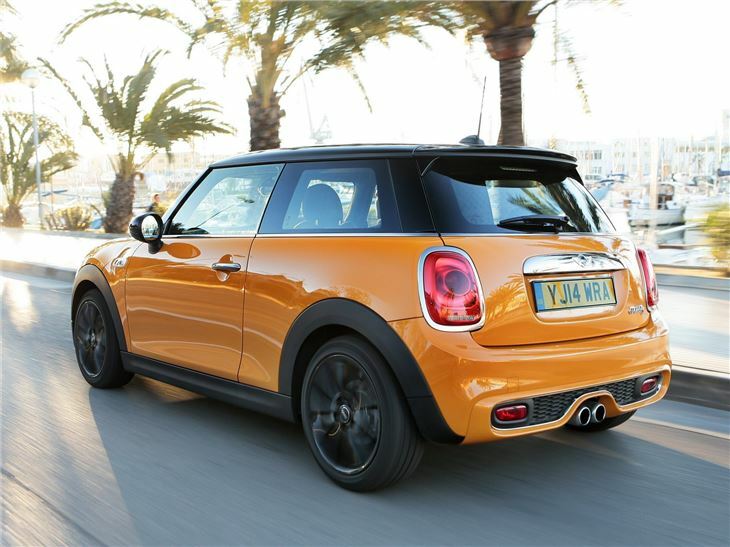 There are certainly no complaints about the performance, with its fizzing engine delivering the goods. 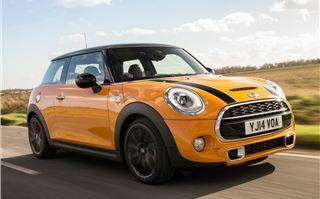 The MINI doesn't struggle in meeting the claimed 0-60mph time, and it certainly rockets forward up to motorway speeds - but where it really scores is in the mid-range, where the MINI has bags of pulling power, despite relaxed gearing that sees it resting at a little more than 2000rpm at the legal limit. 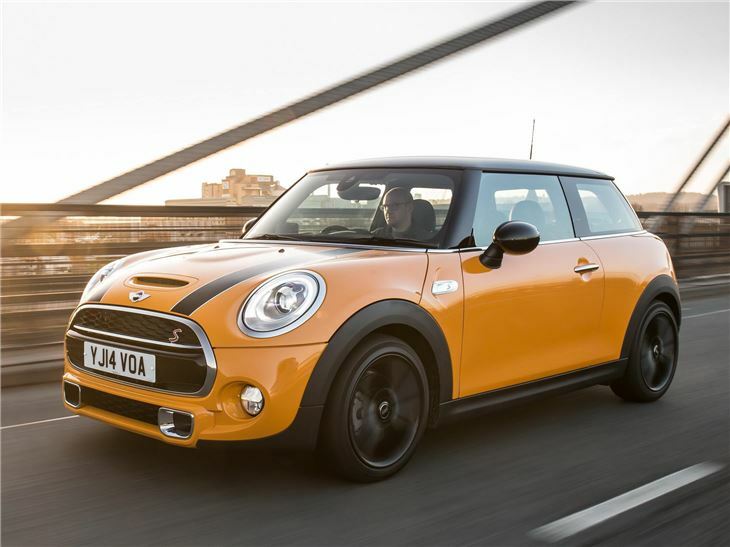 It's this effortless response that really defines the Cooper S, and despite the fact that it should feel unsporting, the MINI's overall demeanour is still very much of an energetic hot hatch. The gearchange is light and accurate, and the steering is accurate and quick, perhaps too eager for some. 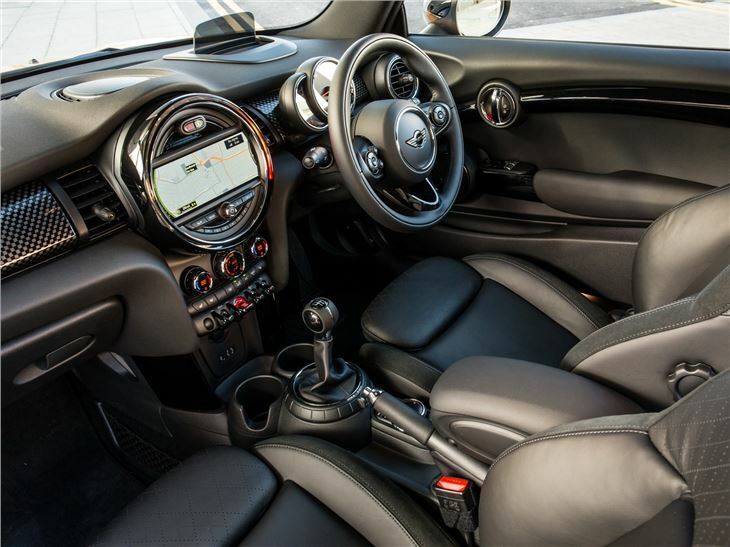 In Sport setting, the steering has more weight and it has a far more responsive throttle, with an automatic blip of the throttle as you change down. In every day driving, Mid or Green modes offer all you need. And we like the retention of an old-style handbrake lever. 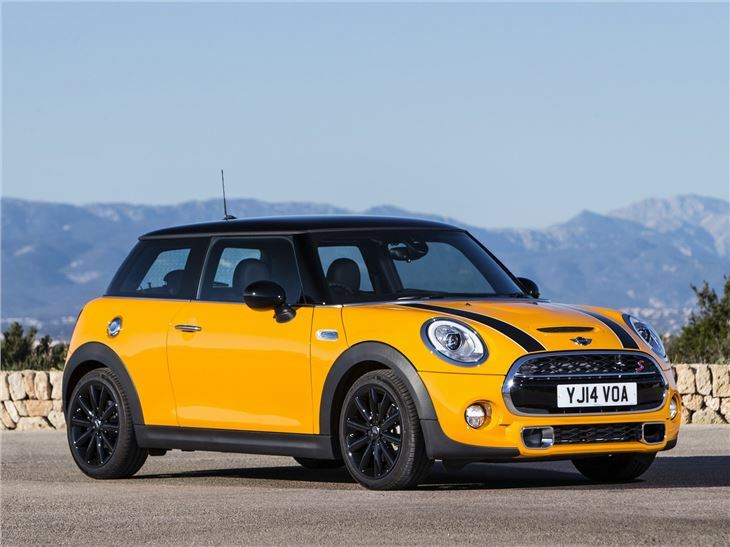 Prices have risen across the board, with around a two per cent premium over the outgoing model, with £13,750 being the new entry point for a MINI One and the Cooper starting at £15,300. 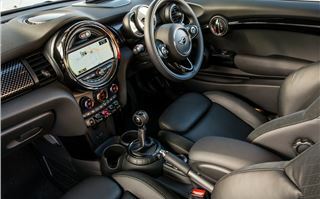 The Cooper S comes in at £18,655 on the road (and £20,150 for the automatic version), which places it in the heart of some very capable opposition. 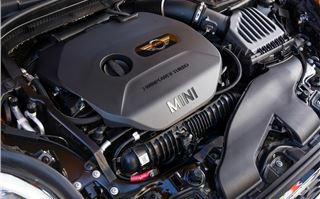 But it's faster and more capable than ever before, especially given the additional grunt from the 2.0-litre TwinPower engine still leaves it cleaner and more economical than before. 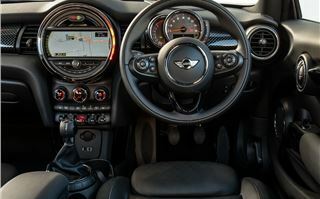 But, overall, the new MINI Cooper S is a success, even if it lacks a slice of the old car's cheeky, slightly unfinished charm. 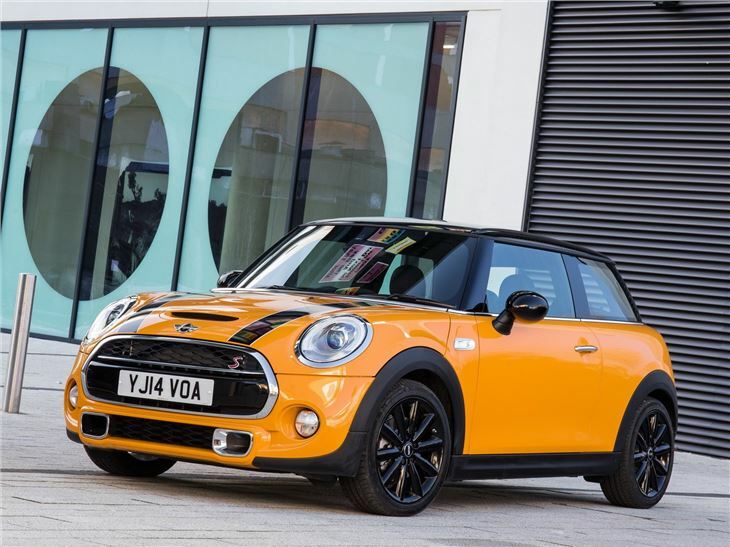 It's a better car than before, of that there's no doubt, and you can use it day in, day out, without a gathering feeling of annoyance as you might have before. It's fast, capable, and feels special in an almost premium way. Yes, it's dear, and options can ramp up the price stupidly, and you know there are many roomier options - but it was always a compromised product, and that never harmed sales at all. Now, however, it's considerably less compromised - and the more appealing for that.